Representation of debtors / special administrators in the imminence or during the insolvency proceedings (advice on the opening of insolvency proceedings, protection against insolvency claims or abusive requests for opening the insolvency proceedings, defense against personal liability requests of those who contributed to the state of insolvency and against the requests for annulment of fraudulent operations). We assist creditors in connection to the insolvency proceedings (assessment of clients’ alternatives for debt recovery and settlement possibilities, debt recovery following company liquidation or by triggering the personal liability of those responsible, annulment of fraudulent late transfers intended to reduce the debtor’s patrimony, challenge against the measure and reports of the official receiver. Using an interdisciplinary approach, we may assist lenders or real estate developers in case the construction project is running into financial distress or is preparing for imminent insolvency or bankruptcy. Obtained the rejection of a creditor’s request for opening the insolvency proceedings for an alleged claim amounting to over EUR 11 mil. Successfully assisted a public entity with the challenge against the voteless registration in the preliminary list of creditors for a claim amounting to EUR 8 mil. Successfully assisted a debtor from the textile industry against the official receiver’s request for annulment of an alleged tripartite netting agreement amounting to EUR 2,2 mil. Assisted a Romanian energy supplier and trader in relation to the request for opening of its own insolvency proceedings for a total of claims amounting to approx. EUR 30 mil. 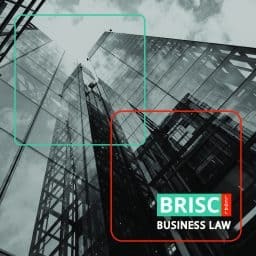 BRISC LEGAL is a law firm based in Cluj-Napoca. We provide business law services to public authorities and private clients from a wide range of industries covering both dispute resolution and transactional law capabilities.